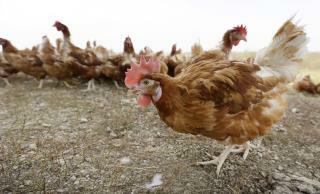 (Newser) – New rules, decades in the making, that would have required organic meat and egg producers to abide by stricter animal welfare standards were withdrawn by the feds on Monday, reports the AP, frustrating organic farmers and animal welfare groups but leaving some traditional farm groups rejoicing. The US Department of Agriculture said the Organic Livestock and Poultry Practices rule exceeds the department's statutory authority. "The organic industry's continued growth domestically and globally shows that consumers trust the current approach that balances consumer expectations and the needs of organic producers and handlers," says a USDA rep. The rule was published by former President Obama's USDA two days before he left office; the Trump administration repeatedly delayed implementing the rule and signaled it might never. The withdrawal goes into effect May 13. "It's not a surprise. We had some admission by the USDA that the industry had been camping out in their office. ... The power of Washington lobbyists wins again," says an organic farmer from Iowa. The rule was to ensure organically grown livestock had space to lie down, turn around, stand up, and fully stretch. It also prohibited removal of chicken beaks and cattle tails and required fresh air, proper ventilation, and direct sunlight. Dropping the rule "reverses the nearly two decades of collaboration and feedback from farmers and consumers," says the ASPCA CEO. The National Cattlemen's Beef Association president counters that the rule would have "vilified conventionally raised livestock without recognizing our commitment to raise all cattle humanely." A group of farmers created their own label, the Real Organic Project, and hope to have pilot farms certified this summer. We need to have new standardized procedures for how we treat animals we intend to eat. We can't just open up the possibility for gross negligence and abuse. I kind of wish we had a label that told us more about the meat other than just "organic" or not. Why not have a label like "A1" grade which meets and exceeds the highest standards for animal treatment, painless slaughtering, no castration or cutting of animal without anesthetics (or no cutting at all), environmental sustainability, facility cleanliness, and health (anti-viral, anti-parasite procedures etc). People could then eat meat guilt-free.